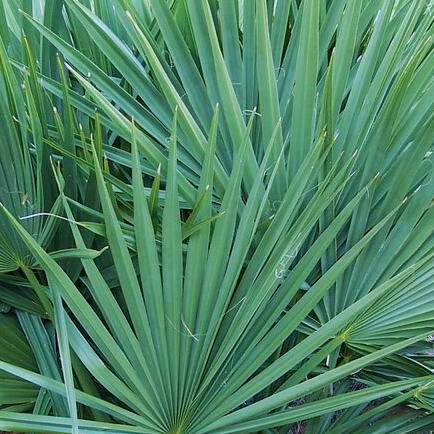 I became fascinated with palms as a child when my parents took me to Florida in the 1950's. 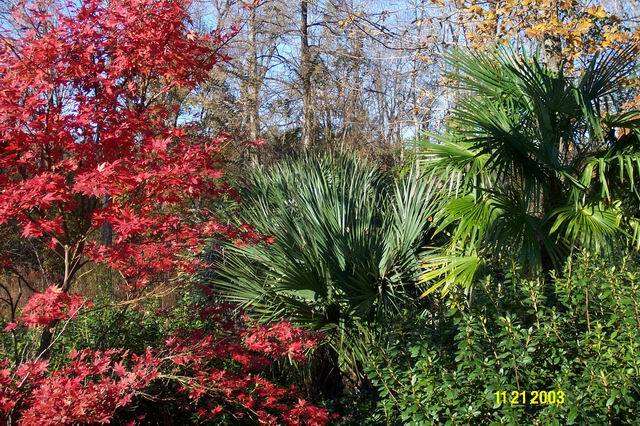 I have been growing palms here in the central coastal plain of NC since the 1970's. 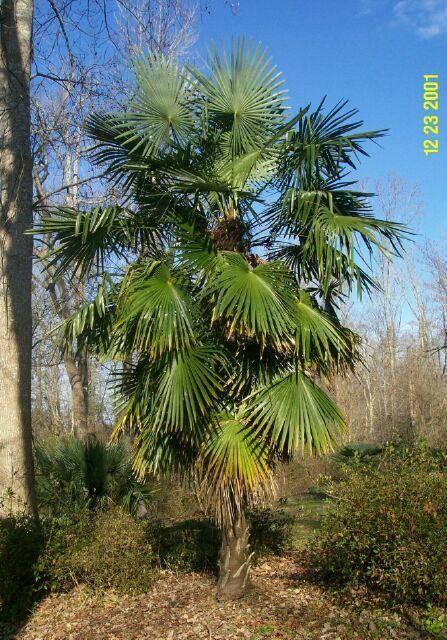 These palms are growing at my home in Craven County, NC, near New Bern. 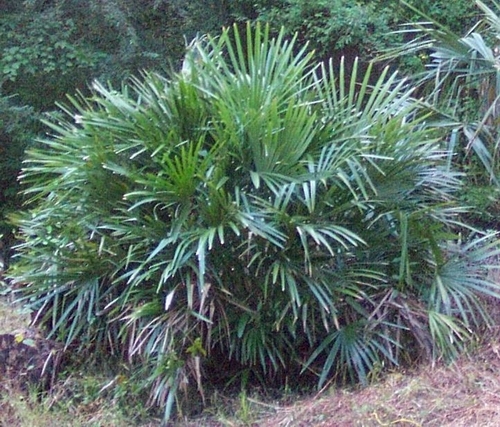 Many of the palms are planted along Reedy Branch, which is the Craven and Jones County border. Most palms were raised from seed or small seedlings. This unknown Sabal was one of six small seedlings purchased from Woodlanders in Aiken, SC in 1986. The mother tree survived in Birmingham, AL for almost half a century, enduring many severe freezes including the 1962 freeze that hit the South that year. 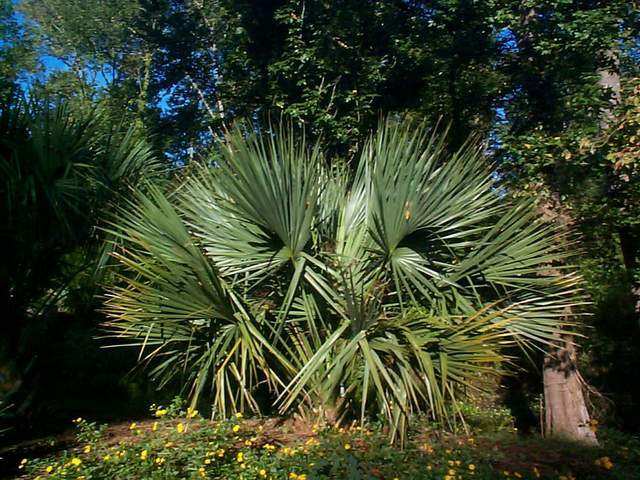 The Birmingham palm was thought to have originally been brought from California. It was planted at the residence of Miss Alexander and later moved from this location to the Birmingham Botanical Gardens in 1976. It was severely damaged and finally killed by the severe freezes in the 80's. The palm in the photo above is a first generation descendent of the original "Birmingham" and is one of four Birmingham specimens growing at my home along Reedy Branch. These were originally planted in pots in 1986 and grown on in 5 gallon until planted here in 1991. Slow growing but very cold hardy. Should be a long term survivor in zone 7 in the South. Specimens in Raleigh, NC have endured below zero temperatures with no severe damage. There is also a specimen in Tulsa OK that has endured 11 below. Butia capitata - Pindo or Jelly palm. This palm lost all it's leaves and spear to a 6 degree freeze in 1996. It was trunk cut and almost fully recovered in one season. Shows damage at about 12-15 degrees here, but can recover from much lower. Planted here in 1990 from a 7 gallon container. It has never been damaged, even by the 6 degrees in 1996. Others nearby recovered from 4 below zero in 1989. 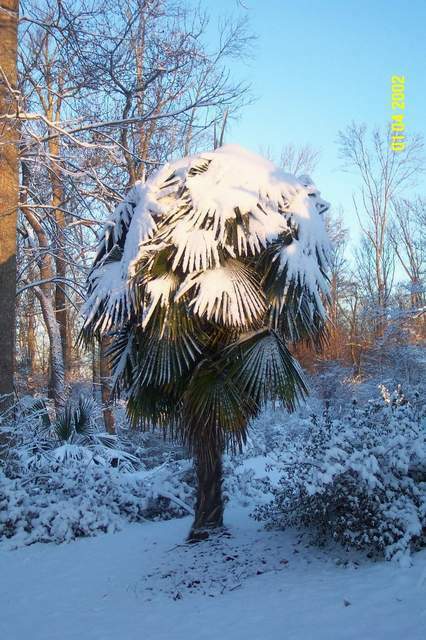 Trachycarpus fortunei in January 2002 snow. Needle Palm planted in the moist soil in my back yard beside Reedy Branch. This palm went through 4 below zero in 1989 with no damage. It was also under water for many days during a hurricane.